New York City rockers The Walkmen are playing in Omaha Saturday night in what promises to be among the best shows of the year. I've wanted to see this band for nearly a decade. 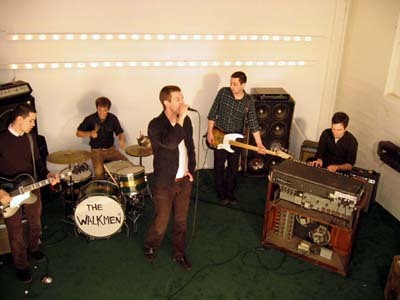 The Walkmen, touring in support of their amazing new CD, Lisbon, are playing along with Japandroids and Tennis. Tickets for this Waiting Room show are $13. Here is a video from The Walkmen's second album, Bows + Arrows, for the song, "The Rat." It is, by far, my favorite Walkmen song. So awesome.